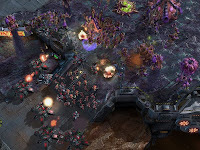 An e-mail scam is circulating the net in attempts to trick owners of StarCraft 2 to give up their personal details. Thanks to website Siliconera you can see the phony e-mail here in order to avoid allowing the scammers to commit fraud with your details. Better to be cautious!